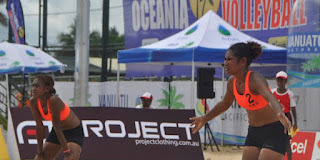 PNG beach volleyball coach Sange Carter says she is impressed with the improvement seen in the country’s men’s and women’s teams’ during the Oceania Commonwealth Games qualifying tournament at Vanuatu 2017, with both pairs still in contention to secure an historic Commonwealth Games berth. Gold Coast 2018 will be the first time the sport of beach volleyball has been included in the Commonwealth Games, and the winners of Friday’s men’s and women’s tournaments in Port Vila will claim the final spots for Oceania teams. PNG men play Vanuatu for a chance to reach the final, while PNG women must beat Tuvalu and hope other results go their way. Team PNG has been training on the Gold Coast in Australia’ for the past few months in preparation for this week’s Commonwealth Games qualifier, while the women debuted in a world tour event to raise their standards ahead of travelling to Vanuatu. Carter explained: “They were in Sydneyfor the past ten days to play in their first ever FIVB world tour event to help prepare for this qualifier. She said the PNGplayers were learning a lot at this tournament, and that their serving and determination had improved in particular. 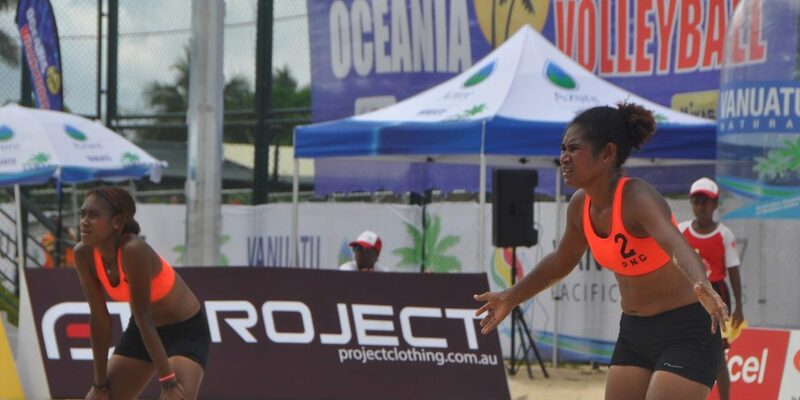 Regardless of results in the Commonwealth Games qualifying tournament, PNG will also compete in the main Vanuatu 2017 beach volleyball event starting on Monday 11 December.